These are the Terms and Conditions for the Ride25 / Damson Audio Competition launched in September 2016. 1. This Ride25/Damson Audio Competition is open to all participants aged 18 and over. No purchase necessary to enter. 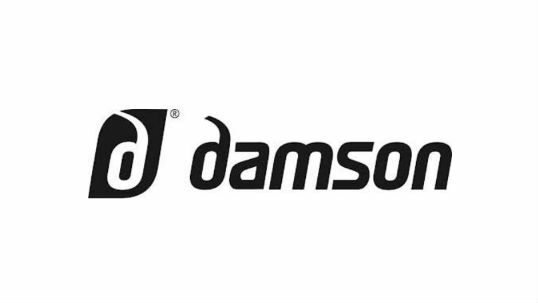 The Prize Draw competition is a joint promotion between Ride25 and Damson Audio. 2. No responsibility will be accepted for entries lost, corrupted or delayed in transmission. 3. The closing date for the competition is the Monday 19th September 2016. All entries must be received before midnight on the closing date. 5 winners will be selected by Ride25 and the Judge’s decision is final. The winners will be notified by email within 1 day of the Competition end date. If contact cannot be made within 30 days, the prize will be forfeited and may be passed on to another entrant. It is the winner’s responsibility to notify Ride25 of any change in contact information. A pair of Damson Audio HeadBones and one pair of tickets to the Cycle Show. A pair of tickets to the Cycle Show. 5. Prizes are not transferable. There is no cash alternative. 6. Ride25 reserves the right to amend, withdraw or terminate any aspect of the Ride25 / Damson Audio competition at any given time without notice if circumstances beyond their control require it to do so. 7. Details to process the prize claim must be provided by the winner within 10 days of notification by Ride25. 8. Entry into the draw authorises Ride25 and our friends at Damson Audio (https://damsonaudio.com/) to contact and to publish the name, photo and country of the winners. The winners may be required to participate in reasonable post event publicity. 9. Please note that Ride25 and Damson Audio reserve the right to contact you before or after the Ride25 / Damson Audio competition to make holiday and product offers which are entirely separate from the competition. 10. Ride25 and Damson Audio will not be liable for loss/damage whatsoever caused by matters arising from this promotion. 11. Data is held according to the Ride25’s and Damson Audio’s privacy and data policies which can be viewed at https://www.ride25.com/privacy-policy/ and https://damsonaudio.com/pages/legal. Entry into the Competition authorises Ride25 and Damson Audio to contact you including by phone, email and SMS. 12. Calls are monitored and may be recorded for quality and training purposes. 13. Entry into this Competition constitutes acceptance of these Terms and Conditions. T: 0207 947 4118 AND KitBrix. 32a Wessex Road, Poole, Dorset, BH14 8BQ, United Kingdom.